Master the dynamic combat on the ground and throughout capital ships in this Clone Wars-era authentic battle experience. Starting March 26, the forces of the Galactic Republic and Separatists clash in Capital Supremacy* – an immersive, Clone Wars-era authentic experience in Star Wars™ Battlefront™ II – where non-linear ground battles fuse with the thrill of invading capital ships and taking them down. Along with the update, we’re releasing our latest location, Pipeline Junction West on Geonosis, plus the Separatist Dreadnought and Republic Attack Cruiser capital ship interiors – all serving as settings to the dynamic and tactical warfare of Capital Supremacy. 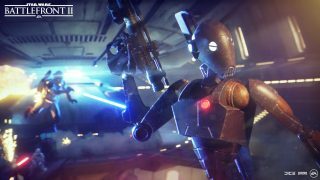 Two additional reinforcement units join the battle as well – the Infiltrator class Republic ARC Trooper and Separatist BX Commando Droid. Make sure to read our deep-dive for full coverage on the elite operatives. Now, let’s dig into how a round of Capital Supremacy goes down. To summarize: fight in non-linear, high-agency ground battles to control command posts. Gain reinforcements. Rush to one of the pick-up-zones and board a shuttle to invade the looming enemy capital ship. Push through its hangar and hallways to reach its weak points. Arm the charges and hold the lines. Rejoice as the giant nose-dives towards the planet. That’s how triumph looks like in a game of Capital Supremacy, coming March 26! 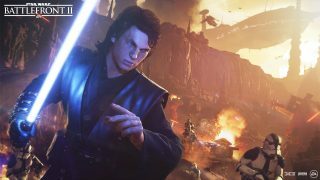 *All updates require Star Wars™ Battlefront™ II on applicable platform (sold separately), all game updates, internet connection, EA account, and, for console players, Xbox Live Gold or PlayStation Plus membership (each sold separately).